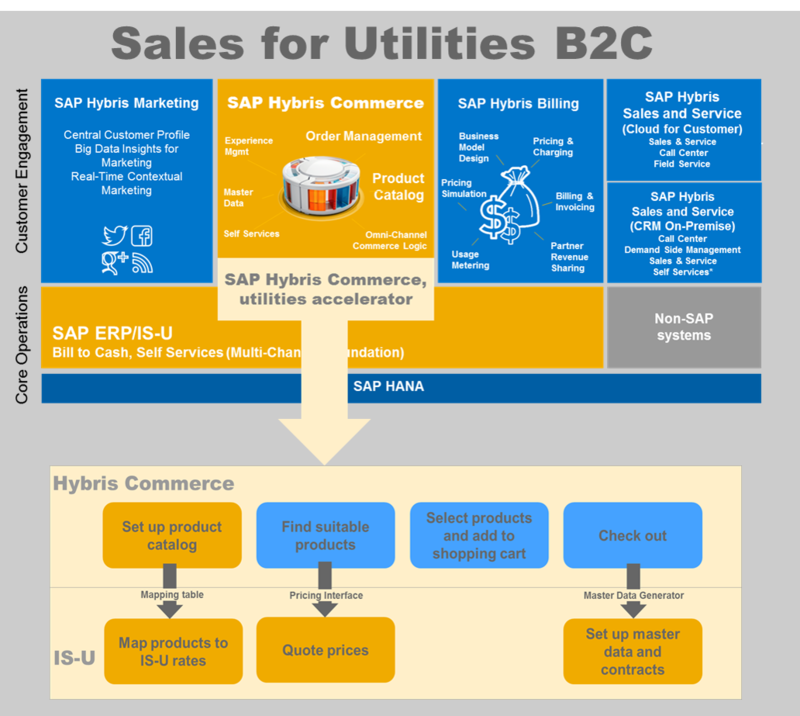 The utilities accelerator for the SAP Hybris Commerce solution enables Utilities to offer an online sales process from order to billing through integration with SAP IS-U. Energy products, such as gas and electricity can be offered together with non-energy products and services. Product content and catalog functionality from Hybris Commerce has been enhanced with energy products and attributes to be used as templates for adding new product offers to the market and react quickly to customer demand. A pre-defined and guided sales process selects valid products based on given customer information such as region and consumption. Through the sales process energy prices are automatically retrieved from the back-end system. In the check-out process the customer information is collected and transferred to IS-U. Further solution capabilities allow the integration to IS-U tariffs and the mapping to Hybris Commerce products, customer master data is transferred and ready for proceeding processes. With SAP Hybris Commerce, utilities accelerator Utilities can easily set up an order to cash process for energy and non-energy products. As a result, the new solution helps utilities accelerate the time to market with any product and service while reducing cost to serve their customers. 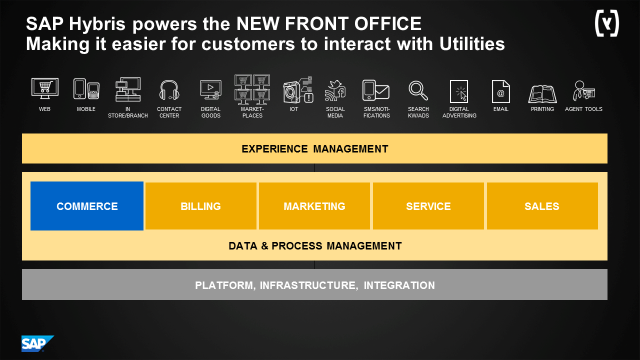 This offering enhances the capabilities of the SAP Hybris Customer Engagement and Commerce suite for Utilities. The SAP Hybris Customer Engagement Suite helps utilities globally win customers by anticipating customer needs and making it very easy for anyone to get the desired service at the right time. Thanks for this informative post. I realized that this accelerator works only on 6.0 version of Hybris. Is there any roadmap to upgrade this accelerator to the latest version (6.6) of Hybris?